Michele Aubourg's intricate style is brought to life in these hidden gardens. Colourful, illustrated dragonflies flutter throughout. 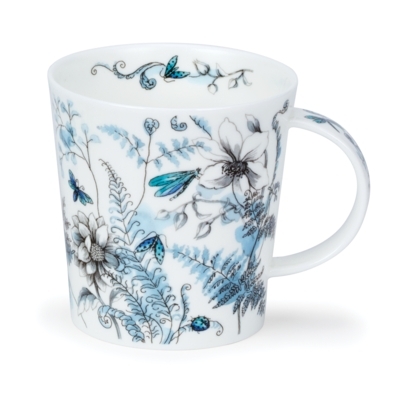 In this design, blue dragonflies are surrounded by intricate flowers and leaves.